Peter V. & Thorsten S.
"mayaXperience" - a.k.a. *dj maya* (Peter Vlach) & *dj Sun Experience* (Thorsten Schuch) - is a well known Psy-Prog duo, based in Vienna. After many years of playing powerful dj-sets together on stage, they decided to combine in one name - finally *mayaXperience* was born in 2011. Their journey brought them into countless Clubs and Festivals all over Austria and many Countries like Spain, Hungary, Czech Republic, Portugal, Serbia, Turkey, Israel, Belgium and even Panama. Years later and energized from of all those beautiful events the time has come to focus on producing their own & unique style. The 1st tune , together with *Side Winder* called "The Art of Flight", was the most successful track of his Album (first published at Ovnimoon Rec., re-released at Geomagnetic) and a great motivation for a lot more inspired studio sessions. The 2nd track called "Yalla Balagan", released in Feb 2013, traveled far away to the Mexico based Label Nuuktal Rec. and found its way in several dj-mixes & like-minded headz. 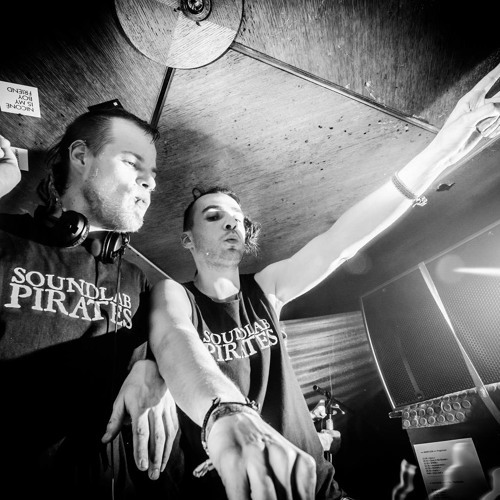 Since two years, they are also pushing their label *SOUNDLAB PIRATES* into Austria's and the worlds Psytrance Scene. Stunning events in and around Vienna, with lots of different international artists and nearly all kinds of psychedelic dance music, brought the entire crew lots of positive feedback. As progression is the only constant, this duo grabbed the flow and focus on their first V.A. called *Groovy Adventures - Progressive Journey* compiled by "mayaXperience" - of course this Record will be published at their own label *SOUNDLAB PIRATES*. The compilation includes fresh Tracks from Austria´s talents as well as hot grooves from internationals. Yet the summer comes with big steps, so get prepared for an explosive and energetic dance floor experience!